Enzymes are very specific (fit to certain reaction only). 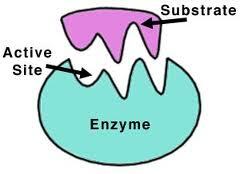 To catalyse a reaction, enzyme molecule and substrate molecule need to meet and joint together by a temporary bond. Each molecule has a special shape and an active site into which its substrate molecule fits exactly. for a substrate molecule (starch in this case). 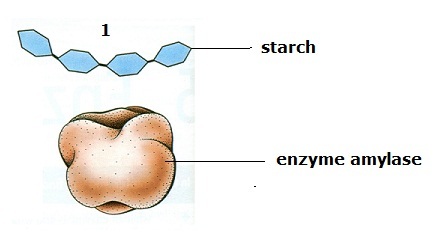 The starch slots into the active site. 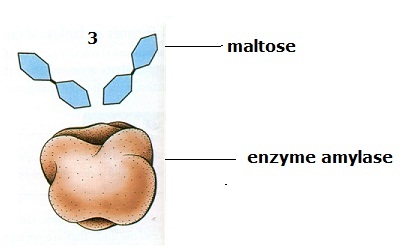 The starch is split into maltose molecules.